Victoria’s practice is primarily focused on private client family law particularly family finance and those cases with jurisdiction complications and where there are offshore assets. She also has extensive experience in cases involving the international movement of children. Victoria acts in matters involving complex contact and residence disputes, implacable hostility and issues of parental responsibility including schooling. Victoria is often instructed for fact-finding hearings concerning allegations of domestic abuse, sexual abuse, alcohol and drug misuse. Mother's appeal against an order for direct contact in the absence of a risk assessment when findings had been made of domestic violence. Appeal allowed, a risk assessment directed and remitted back for further consideration. Moor J who heard the appeal criticised the judge for not having applied PD 12J or the relevant case law on contact when findings have been made of domestic violence. However, of equal significance in this case was the requirement in s.16A Children Act 1989 which requires a CAFCASS Officer to undertake a risk assessment for the benefit of the court if, carrying out his/her functions, the Officer suspects the child is at risk of harm. Cafcass recommended such a risk assessment however the judge refused the mother's application for that assessment. The issue for determination was whether a consent order providing for temporary leave to remove a child from the jurisdiction was final and brought proceedings to an end. The Court of Appeal held that this question should be determined as things stood at the time the order was made and could not depend on what happened next in the family’s life or even on what would be a sensible and practical way of going about things. Appeal dismissed. Whether an Order dealing with temporary removal from the jurisdiction was a final order concerning matters of parental responsibility within the meaning and understanding of Brussels II Revised. Victoria’s practice is primarily focused on family finance, including jurisdictional disputes and/or assets located outside England and Wales, international child maintenance issues, cohabitation disputes and claims under Schedule 1 of the Children Act 1989. Recent cases have involved overseas and domestic pension arrangements, allegations of sham and complex offshore trusts. She also has experience in representing interveners in financial remedy proceedings. Victoria has particular expertise in international cases, especially child abduction cases, relocation, wardship and jurisdictional disputes. 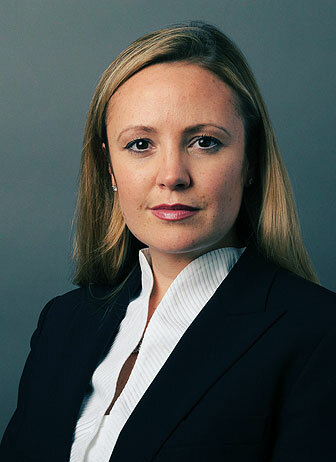 Prior to joining Chambers, Victoria worked for two years (2010-2012) as lawyer to Lord Justice Thorpe, Head of International Family Justice for England and Wales, advising on legal issues relating to international child abduction and relocation. This work included specific issues arising under BIIR and the 1980 Hague Convention as well as responses to developments in European and international family law and policy. Victoria’s work featured in a number of judgments, including Tower Hamlets LBC v MK  EWHC 426 (Fam) and O v P  EWHC 2425 (Fam). Victoria has lectured on the international movement of children, including to the judiciary and Hague Network of Judges. She has also been interviewed by BBC News, Radio 5 Live and Channel 4 News in relation to international child abduction, relocation and jurisdictional disputes. Victoria has also provided advise on English law in various jurisdictions including in America, India, St. Lucia, Finland, France, Germany, Italy and Spain. Victoria was invited by the French Ministry of Justice to participate at a judicial conference on European Family Law in Paris and the German Ministry of Justice to participate at a similar conference in Berlin. In February 2014, she was invited by the President of the Family Division to act as rapporteur to the Family Justice Council’s interdisciplinary Conference. In March 2015, she was awarded the International Professional and Legal Development Grant to attend the 10th Anglophone-Germanophone Conference in London, hosted by the judiciary of England and Wales. Placement of children in Scotland. Theis J confirmed that special guardianship orders are recognised and enforceable in Scotland. Theis J said that whilst automatically recognised as though they were made in the Scottish courts, to enforce a SGO, the SG should make a registration application to the court that made the SGO. Collated Papers of the 2014 Family Justice Interdisciplinary Conference: Family Justice redefined?